9 blocks east of the square on Jackson Street in Macomb. 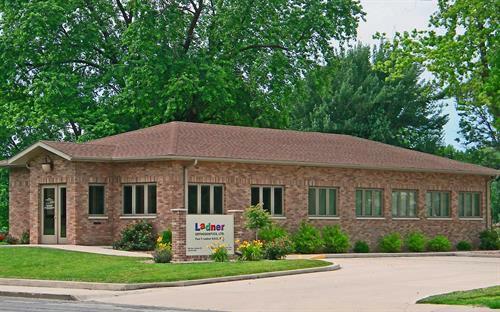 Ladner Orthodontics is a privately owned Orthodontic practice with locations in Macomb, Galesburg and Kewanee. Doctors Ladner and Jain are orthodontists. That means we have university training beyond dental school and we provide orthodontic service exclusively. We have treated thousands of patients and are very proficient in delivery of care to children and adults. In addition to conventional braces we are pleased to provide non-braces Invisalign therapy. We use the latest technology in our delivery of care including impression free digital scanning for most purposes. This means no messy/gagging impressions! 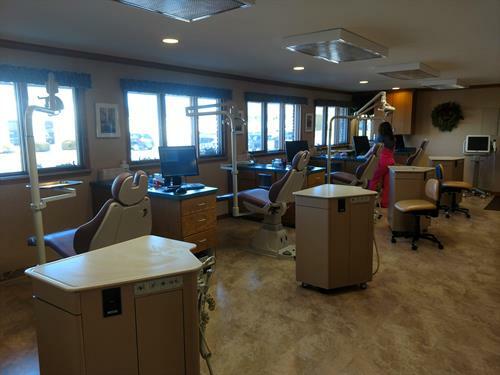 Examination including diagnostic X-ray are offered at no cost so you can explore the options available to asssist you in getting a smile you can smile about with no obligation. Give us a call and schedule an exam today. Providing orthodontic services for over 50 years. Operatory in our Macomb office. See us for a free exam! Reception area and front desk. Digital intra-oral imaging. Impression free!